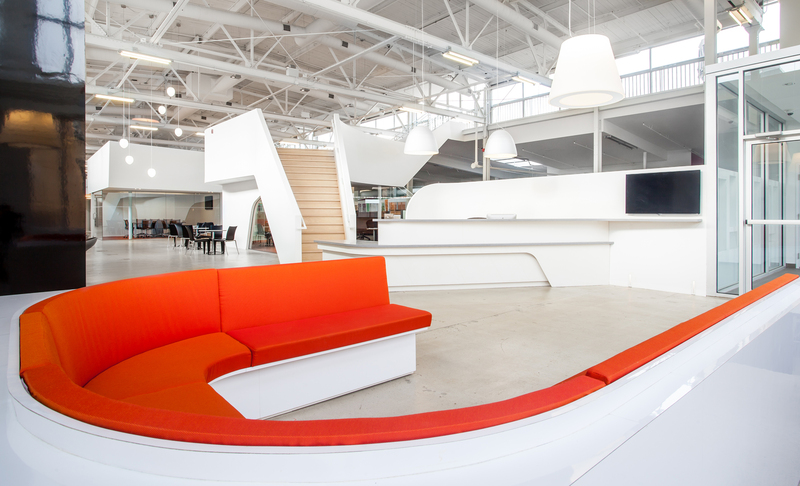 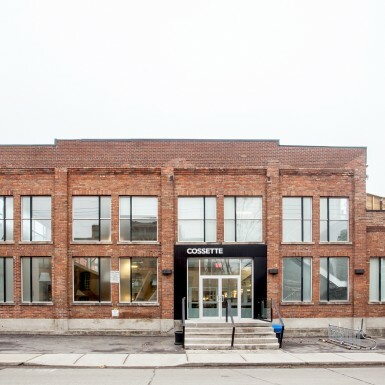 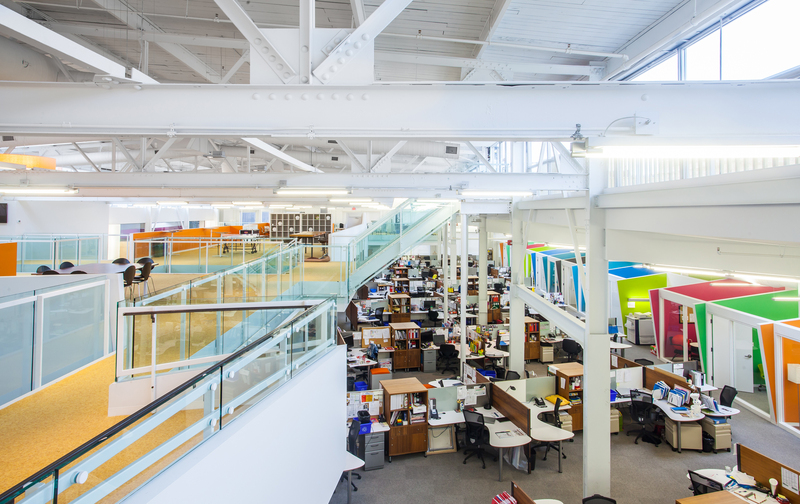 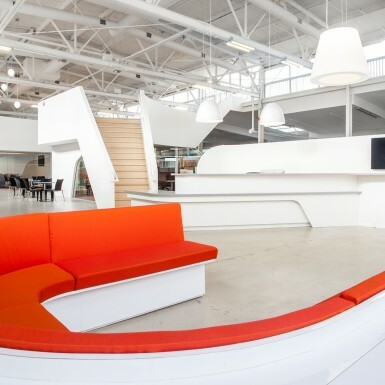 This major renovation project involved the dramatic transformation of a former munitions factory into the new home to the Cossette Media family of agencies. 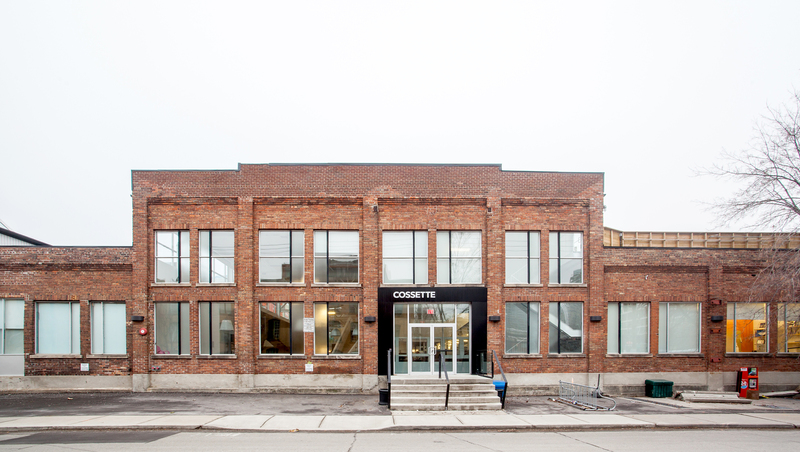 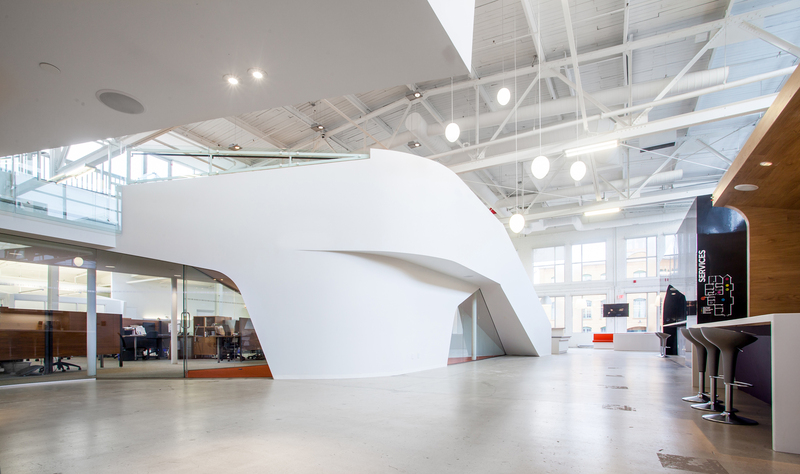 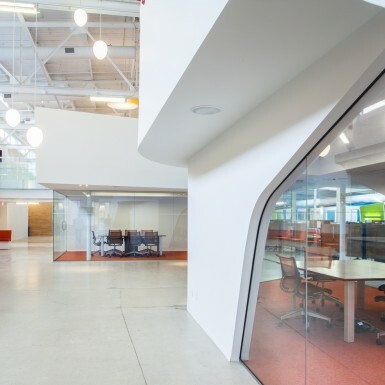 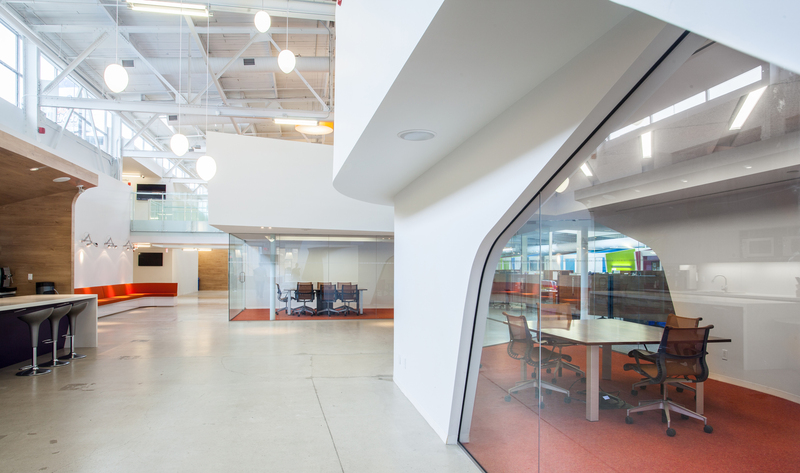 The large-bay structure of the existing building—which had been broken into a dark warren of small rooms by a previous tenant—was recovered during the project, creating a bright and vibrant atmosphere that is reflective of the values of the client as well as a unique address for each of the different agencies operated by Cossette. 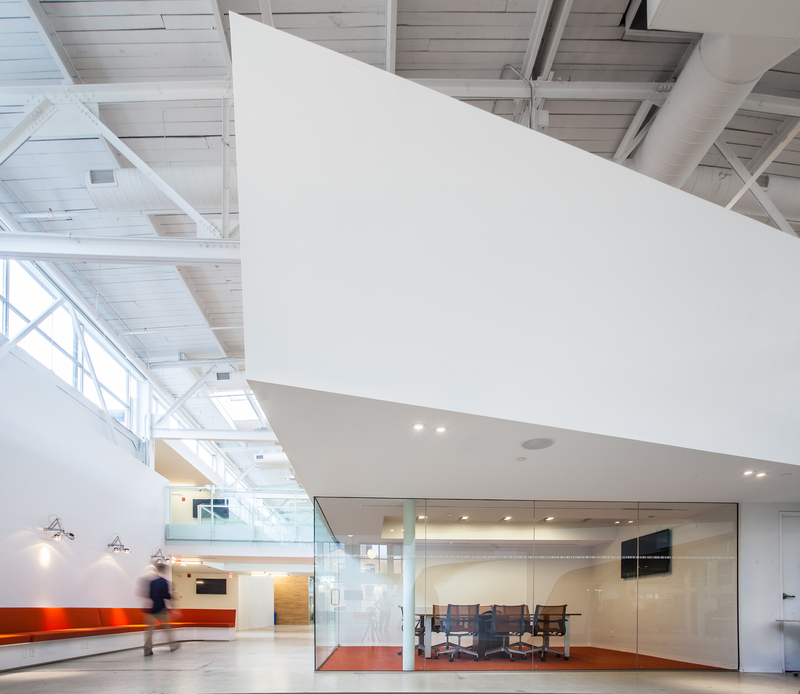 The design brings the agencies together along an active interior street in which interaction occurs and which provides access to numerous shared services—from collaboration areas, café space and meeting rooms, to management, editing and production facilities. 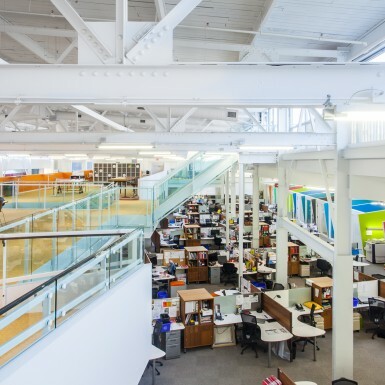 This strategy creates a lively central spine, which brings each facet of the agency together, while offering the autonomy and security required by each unit. 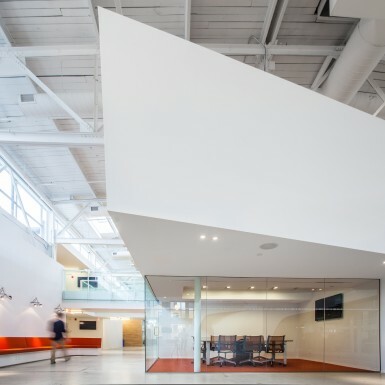 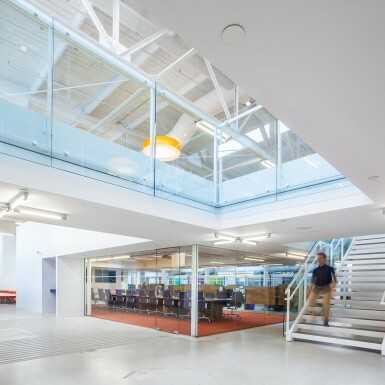 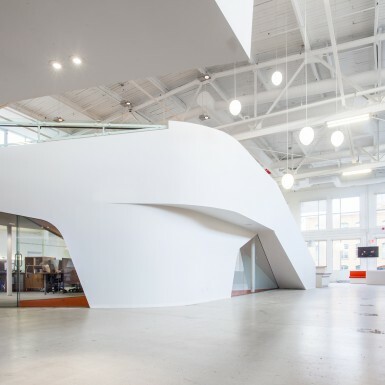 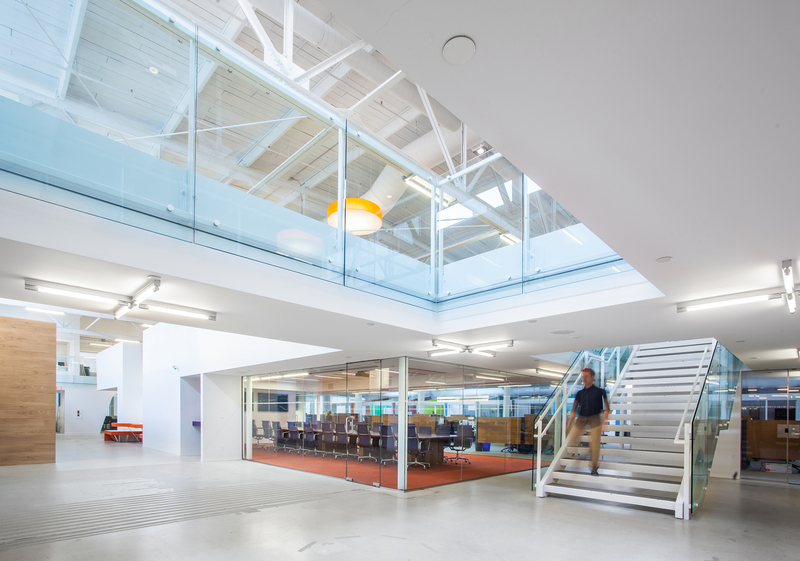 By restoring the original large-bay structure of the building and the use of floating mezzanine meeting pods, the beauty of the original industrial space is restored, while also introducing an abundance of daylight into all work spaces, regardless of their location within the building.